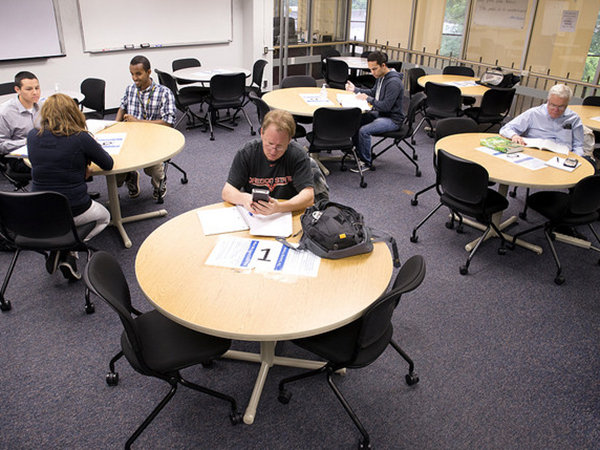 The Math & Science Center (MSC) is an academic support center on NOVA's Annandale Campus. 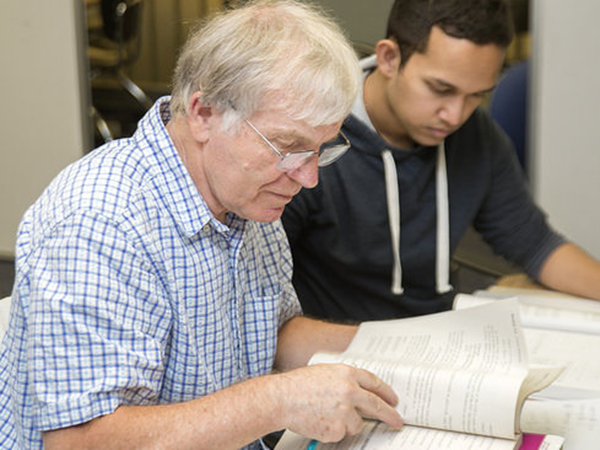 Covering 35 select courses in Math, Physics, Chemistry, Biology, Engineering and Accounting, our goal is to provide academic support to students enrolled at the Annandale Campus. 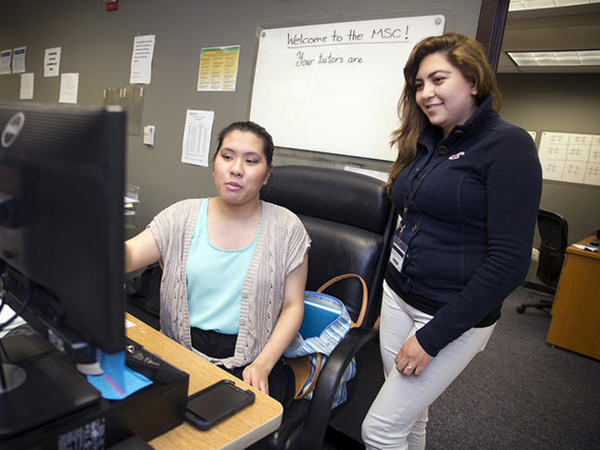 The MSC focuses on that support with a diverse group of peer tutors mirroring the campus student population. 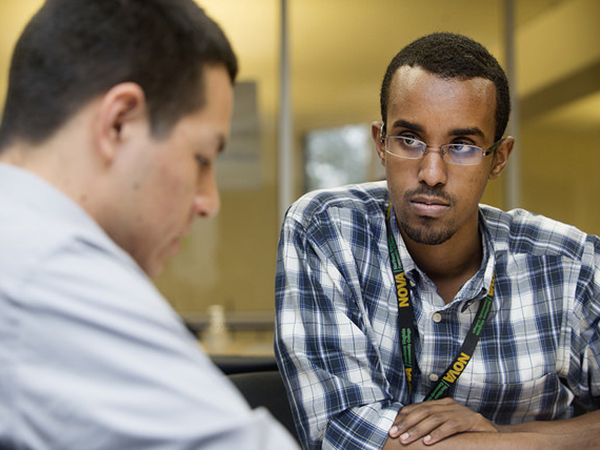 You are welcome, during posted Center hours, to meet with tutors without an appointment. A schedule detailing when tutors are available is posted at the entrance, and linked to this page. When you arrive, please sign in. There are destop computers for online work, as well as tables. Tutors then circulate around the Center answering questions from various courses and topics. 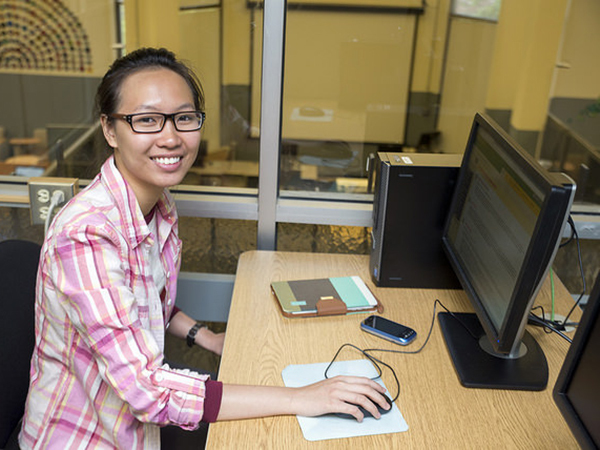 Textbooks and calculators are available for use, but only in the tutoring center. As you leave, please sign-out to end your session. 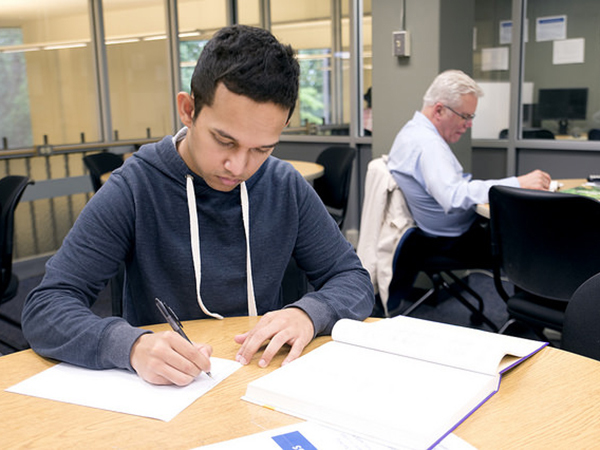 If you need a quiet place to study or if a group of classmates want to meet to discuss coursework, the Math and Science Center is available with the added advantage of tutors being present as a resource. Please contact us to schedule a time. The Math and Science Center is equipped with desktop computers that are available for use within the Center during hours of operation. Available software includes MS Office, Gnuplot, R, and Wolfram CDF Player. We also provide links to Open Educational Resources. 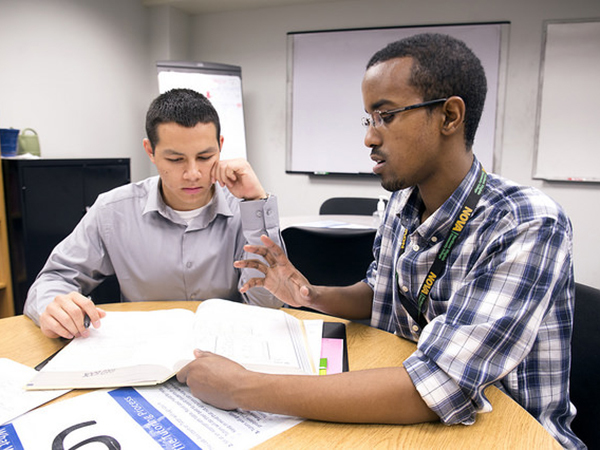 Tutors can coordinate with faculty members and conduct review sessions prior to exams for most courses for which we support tutoring. Please contact jbrannon@nvcc.edu to schedule a time. Tutors will help you with your work. They can assist you in answering questions regarding homework, reading assignments or lectures. Tutors will assist you in discovering your learning style -- the most effective way for you to learn. Tutors will not do your work for you. Tutors will help you to determine the answers on your own by asking you questions. Tutors are not going to teach you the course material. You must attend class, do assigned reading and take notes in class, in order to come prepared to see a tutor. Various classes supported by the Math & Science Center make use of Open Educational Resources (OER). The following links are provided. Can I make an appointment for tutoring? What can tutors assist me with? Do you have a list of private tutors? Do you provide tutoring outside of NOVA? How can I get help with the Virginia Placement Test? Do you provide tutoring for MTT classes? Can I check out textbooks and calculators? Do you support Extended Time Tutoring? Do you help with CSC (Computer Science) or IT classes? We are located in Room CG-405 on the Annandale campus. You can contact the Math & Science Center at 703.323.3139. 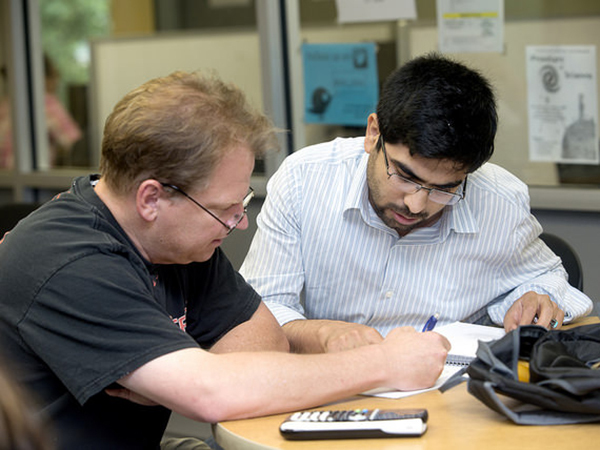 Walk-in Tutoring is available for the math and science courses, so no appointment is necessary. 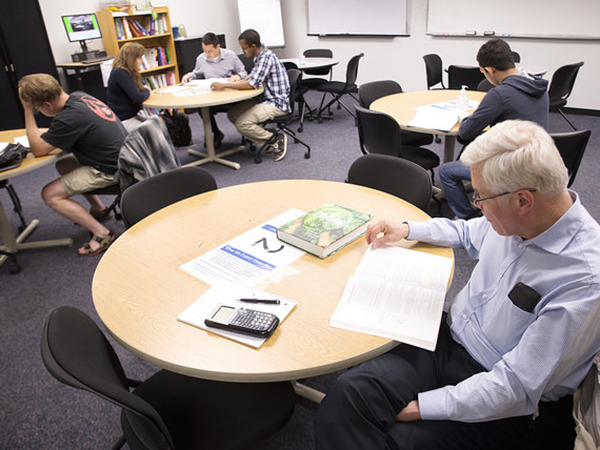 However, one must review the tutoring schedule on the Math and Science Center Website, http://www.nvcc.edu/annandale/asc/math/, or the schedule posted at the center (Building CG405) to determine when a tutor is available for your class. 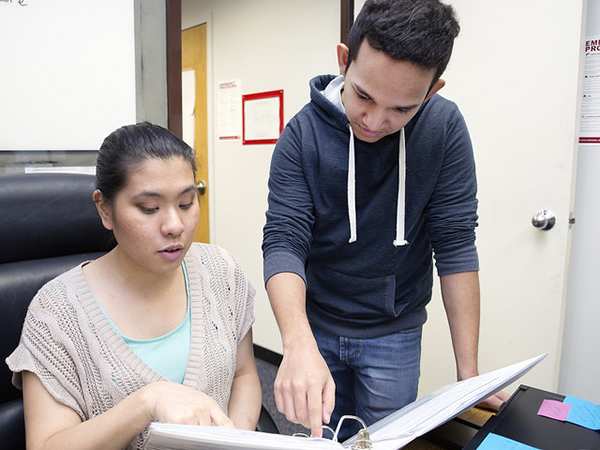 Students sign up for tutoring assistance at the Math & Science Center. A tutor will work with each student 10-15 minutes, and move to the next student. A student can sign up multiple times for help, and then work on their own while a tutor is with other students. We CAN help students with questions that are not related to their grade, such as textbook questions, test review and online homework. We CANNOT answer questions from unverified sources, or for take-home quizzes & tests, exam corrections, extra credits, lab report assignments or projects. We don’t recommend specific private tutors, but we suggest you Google “private math tutor” and the name of your city/community to find a private tutor near year. 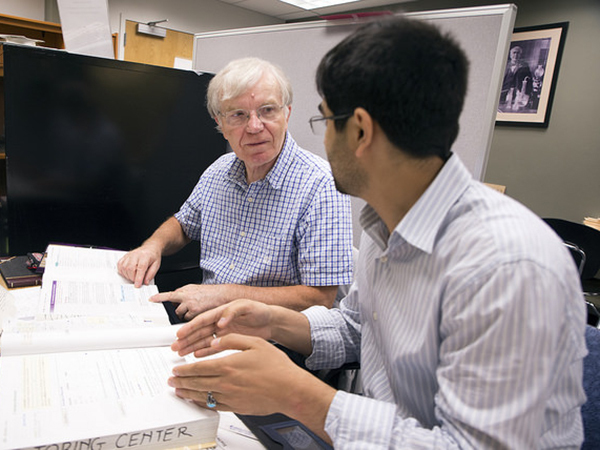 Private tutors also post fliers on campus offering their services. We don’t recommend specific tutors as it could be considered a conflict of interest, improper use of college equipment, or solicitation. We provide help for MTH classes. MTT class support is available in CT105. 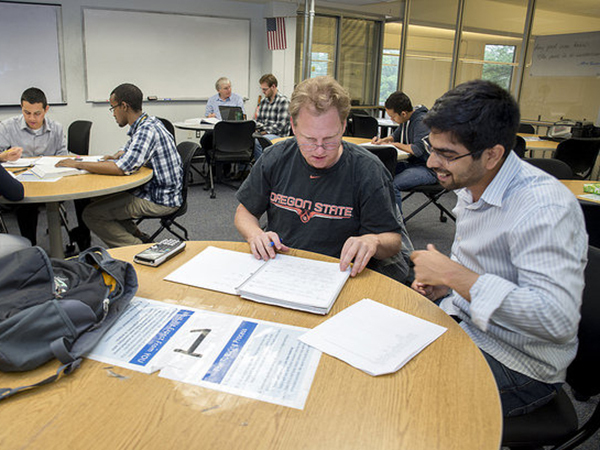 You can check out textbooks and calculators, but they must remain in the Math & Science Center. We ask for a Student ID card or Driver’s License in exchange while you borrow the item(s). Tutoring for some CSC and IT classes is available with the Open Computer Lab in Building CT228. Please check with the Lab to determine when they have tutors available.